The pharaoh who ruled after Menkaure was Shepseskaf who instead of building a pyramid like his predecessor, is credited with build a large mastaba at Saqqara during his short 5yr reign. 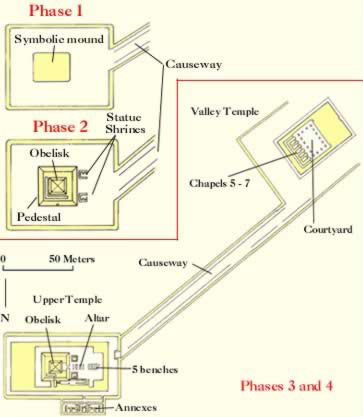 As discussed in the linked thread, the interior of Shepseskaf's mastaba is very similar to what is found in the great pyramids in which Shepseskaf is also credited with completing some of the work on Menkaure's pyramid complex, namely the addition of a poorly constructed mortuary temple. 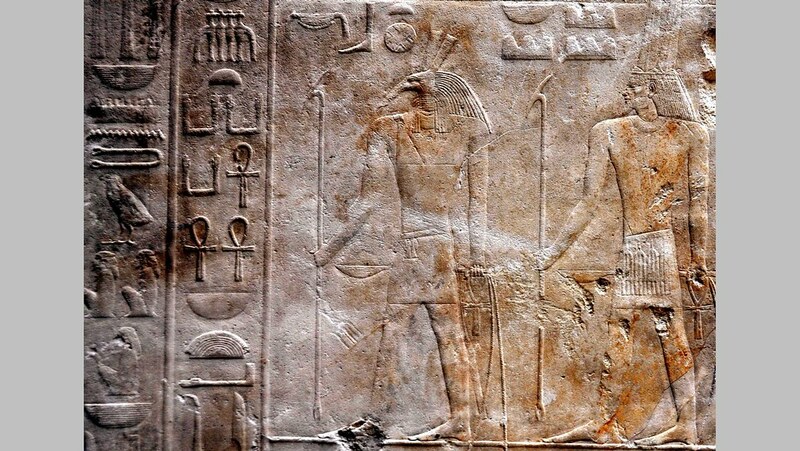 The next pharaoh, the 1st of the 5th Dynasty, was Userkaf whose length of reign is given by the Turin King List as 7yrs though it may have been as much as 10-14yrs. According to Manetho 28yrs. 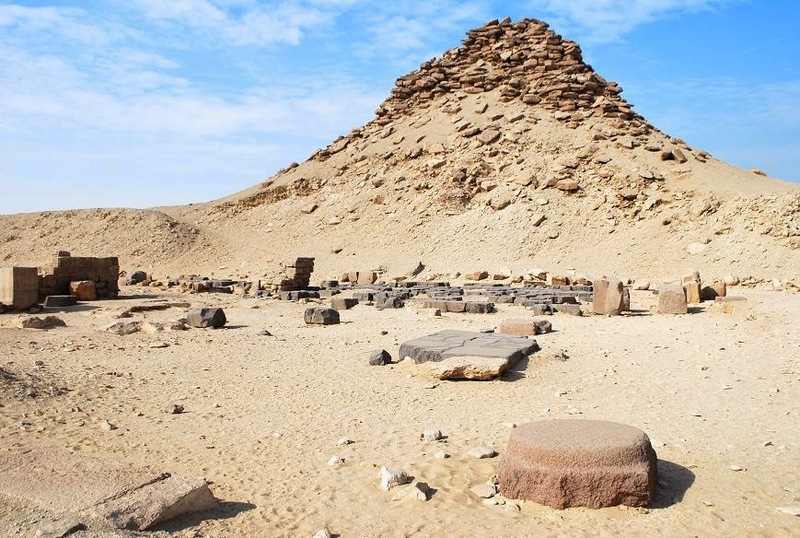 Though Userkaf is credited with building a pyramid complex at Saqqara, there are several unusual changes that occurred during his reign that seem incongruous with what directly came before. Archaeologically the Sun Temple of Userkaf is a mess and details are not exactly clear, but it is known to have been built in two phases-first of mud brick which was later rebuilt as stone supposedly a few pharaohs later, likely under the reign of Neferirkare who is also credited with adding the obelisk that once stood there. 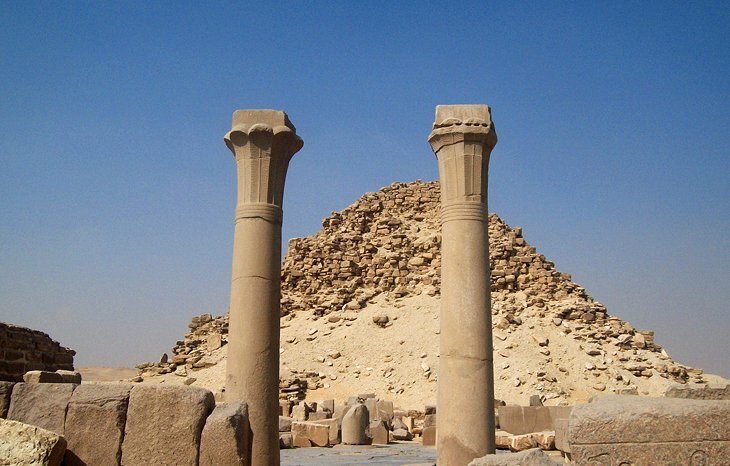 Sun temples are attributed to several other pharaohs in the 5th Dynasty directly following Userkaf having abruptly ended with the 8th pharaoh of the Dynasty, Djedkare Isesi. Though details of these other structures can be equally sketchy, often marked with one pharaoh pilfering materials from another to build their own, even from one pharaoh to the next, what they represent nonetheless is a clear change in ideology of what came directly before. Where did the idea of Sun Temples come from? It is the only such colossal statue found in the OK though it becomes common place in the MK and onward. 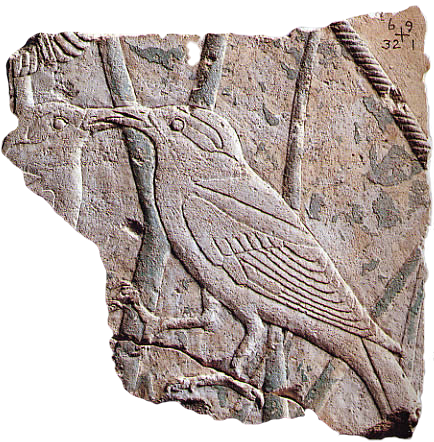 This style of art and iconography is unknown prior to this time and marks the stark beginning of the noted 5th-6th Dynasty cultural renaissance. "Userkaf's reign might have witnessed a recrudescence of trade between Egypt and its Mediterranean neighbors thanks to a series of naval expeditions, which are represented in his mortuary temple." Of this I have little doubt. A technology I have suggested could only have developed outside of Egypt. Of greater note than these accomplishments, however, is his temple complex that incorporated an estimated 100,000sq ft of reliefs-a marvel of the ancient world. 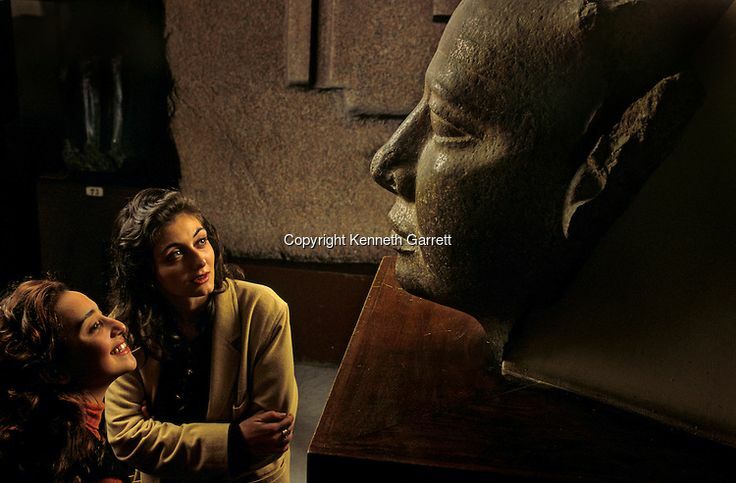 It's not just the sheer volume that is of interest, but more so the content which Egyptologists refer to them as whole as being anywhere from "unique" to "unusual" from what came before both iconographically and artistically. I just lost the reference, Getty images somewhere, but there are several depictions of foreigners, often prisoners, literal boatloads full. Historical records and surviving artefacts suggest that contacts with foreign lands were numerous during Sahure's reign. Furthermore, these contacts seem to have been mostly economic rather than military in nature. 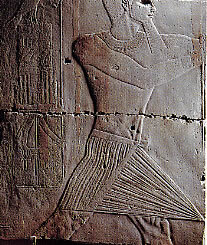 Reliefs from his pyramid complex show that he possessed a navy comprising 100-cubits long boats (c. 50 m, 160 ft), some of which are shown coming back from Lebanon laden with the trunks of precious cedar trees. Other ships are represented loaded with "Asiatics",[the Levant] both adults and children, who were possibly slaves. A unique relief depicts several Syrian brown bears, presumably brought back from the Levantine coast by a naval expedition as well. These bears appear in association with 12 red-painted one-handled jars from Syria and are thus likely to constitute a tribute. Trade contacts with Byblos certainly took place during Sahure's reign and indeed excavations of the temple of Baalat-Gebal yielded an alabaster bowl inscribed with Sahure's name. There is further corroborating evidence for trade with the wider Levant during the 5th Dynasty, with a number of stone vessels inscribed with cartouches of pharaohs of this dynasty discovered in Lebanon. Finally, a piece of thin gold stamped to a wooden throne and bearing Sahure's cartouches has been purportedly found during illegal excavations in Turkey among a wider assemblage known as the "Dorak Treasure". The existence of the treasure is now widely doubted however. 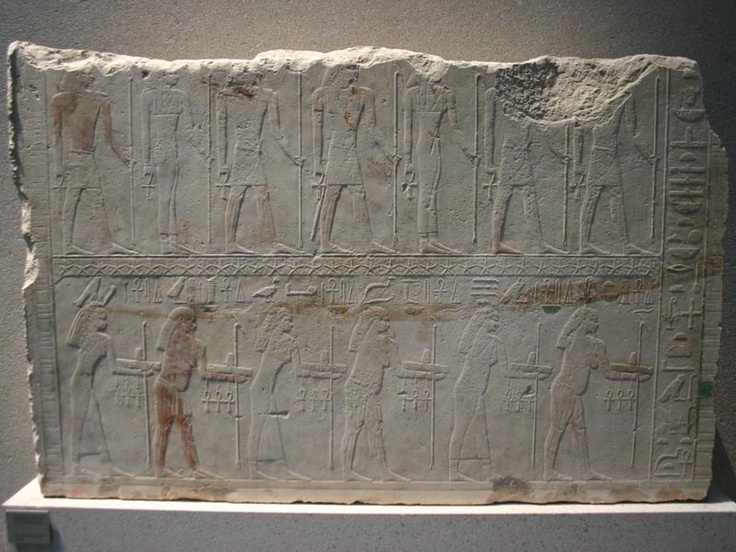 In his last year on the throne, Sahure sent the first documented expedition to the fabled land of Punt. The expedition is said to have come back with 80,000 measures of myrrh, along with malachite and electrum. 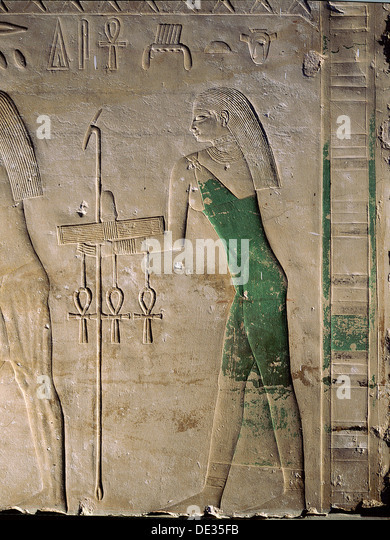 Because of this, Sahure is often credited with establishing an Egyptian navy. However, it is known today that preceding Egyptian kings had a high seas navy too, in particular Khufu during whose reign the oldest known harbor, Wadi al-Jarf, on the Red Sea was operating. 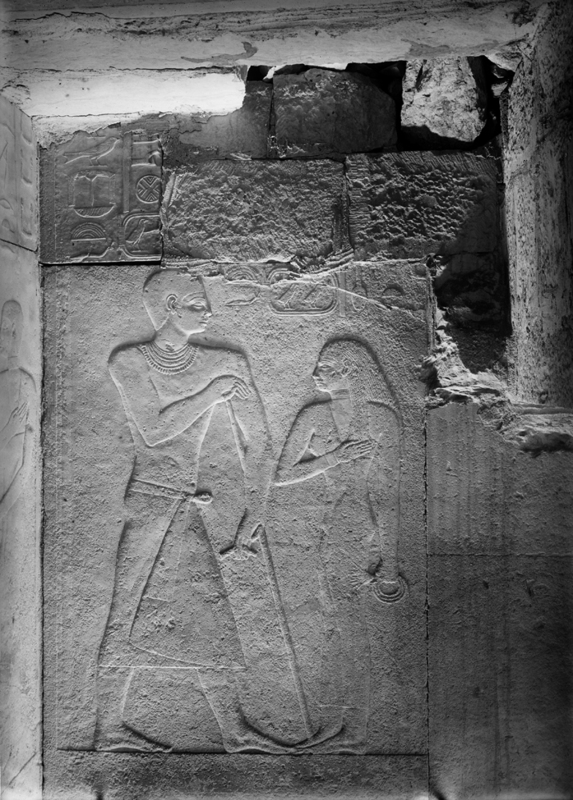 Nonetheless, the reliefs from Sahure's pyramid complex remain the "first definite depictions of seagoing ships in Egypt" (Shelley Wachsmann). In his last year of reign Sahure sent another expedition abroad, this time to the copper and turquoise mines of Wadi Maghareh and Wadi Kharit in Sinai, which had been active since at least the beginning of the 3rd Dynasty. This expedition brought back over 6000 units of copper to Egypt and also produced two reliefs in Sinai, one of which shows Sahure in the traditional act of smiting Asiatics and boasting "The Great God smites the Asiatics of all countries". I'm getting off topic right now, but I believe the Giza pyramids were not completed in the 4th Dynasty, but were continued to have been worked on well into the 5th and 6th Dynasties. I would also say that it is very likely that a large contingent of the labor to build the pyramids were foreigners either brought to Egypt as slaves or military prisoners. 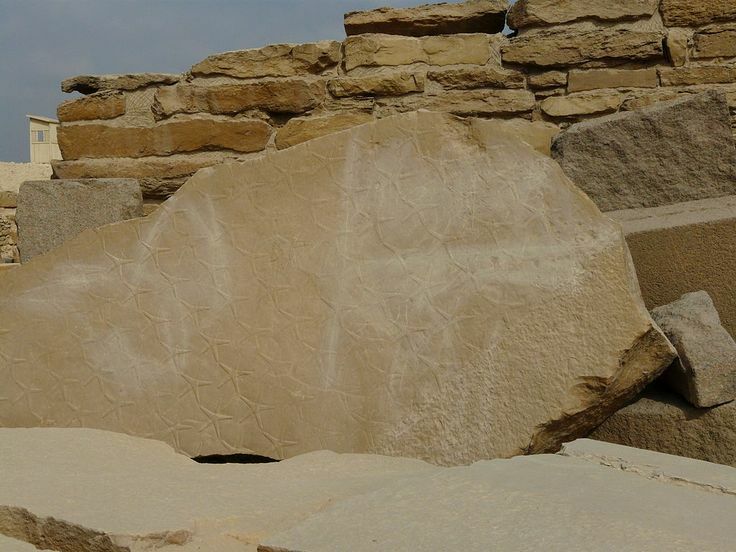 Time and again I have spoken of the intimate connections between Egypt and the Levant and Mesopotamia in the historical period going back nearly 8,000yrs to the first settlers of the Fayoum from the Levant. 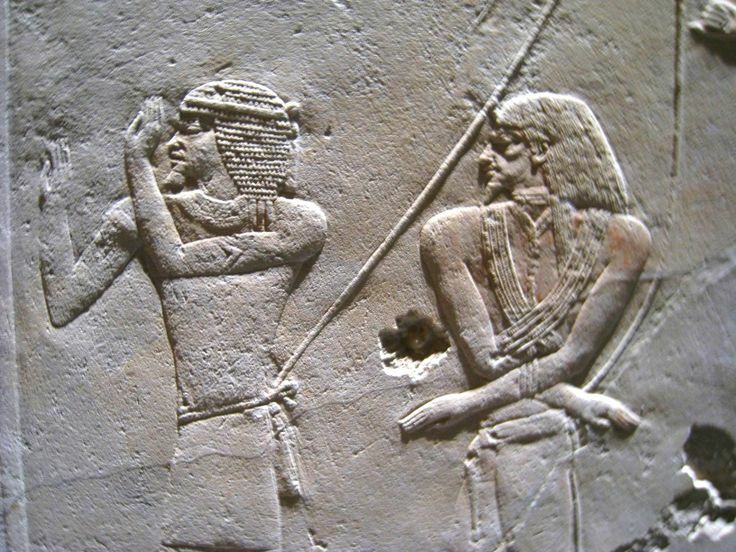 I recently wrote about how the beginnings of the MK, a time of profound change and revitalisation in Egypt, were deeply rooted in direct connection with Canaan (Levant) in which in the 13th Dynasty Canaan even took over the Nile Delta and formed their own kingdom. It would appear that the changes found beginning with the 5th Dynasty are once again the product of direct interaction with foreign cultures from the Levant. They brought them to Egypt by the boatload. Time and again whenever I look for answers as to why AE Dynastic periods go off on an abrupt tangent, sure enough I find pronounced direct interaction with a foreign culture from the Levant, and regarding the formation of the Dynastic state, Mesopotamia. 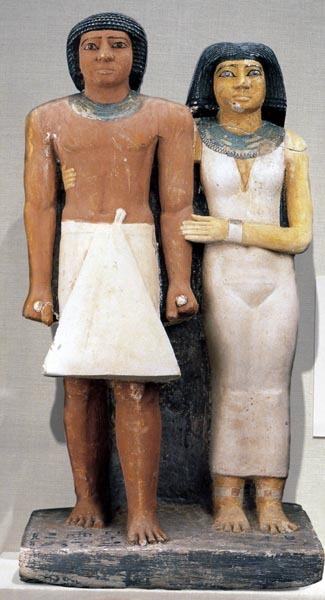 From the MK to the end of the Dynastic period, part and parcel of Egyptian culture is the occupation by a foreign power-Canaan, Hyksos, Hittites, Phoenicians, Greeks, Romans-why would the OK and archaic Dynastic period be any different? And yet despite this what we see time and again is this foreign subjugator adopting the culture of the DE, not the other way around, yet for some reason we expect the OK and earlier to be different? Edited 4 time(s). Last edit at 06-Feb-18 06:29 by Thanos5150.